Atik Zaman was the sales manager I worked with and although I didn't end up purchasing from this dealership, the experience I had working with him was absolutely phenomenal. Despite communicating that I was unsure about my purchase, it didn't change the way they treated me - professional, personable and respectful. If I were to purchase a Porsche locally, I would highly recommend Atik and Autobahn Porsche. 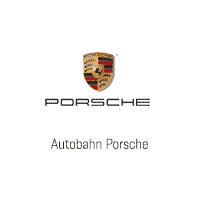 I have been servicing my 3 Porsche with Autobahn for a long time. They always provide me a good customer service and notify me when the service is completed but never rush me to return the loaner. The coffee machine that they have is also excellent, never miss a coffee cup when there. Everyone at Autobahn Porsche is friendly, helpful and knowledgeable. The car buying process was the easiest I’ve ever had. No hassle and no haggling. The finance person was organized and had everything ready when we got there to sign papers. The sales guy already had my settings programmed and rushed my car delivery. Last the service department only fixes what is necessary and gives you courtesy calls for any needed work prior to performing it. Really good service, but a little slow. Zoran and Bob are the best! Thanks guys. Everything went as scheduled with a loaner car ready when I arrived and the service was performed in a timely manor as I have grown to expect after dealing with this dealership for many years.